When my wife Pam told me she was using the Chrome Niko on a trip to Paris instead of her purse, I realized how essential that bag had become. It’s go-to-gear and she chose it over her purse! I’ve never seen her without a purse nearby, except when we’re riding, for as long as we’ve been together. Like I do, she put a camera in it, cables, snacks, a softshell jacket secured on the outside, and more. It’s remarkable how much you can carry in the Niko for a shoot or a trip. It’s also stable and comfortable with the big strap and wedge resting on your back. Combined with a hardshell rollerboard holding my laptop and clothes, and a folding bike, I’m all set for traveling light. In the Niko are a Nikon D-7000 with primes for street shooting. Expecting to ride more on a trip, I’ve strapped a helmet to the side too or a monopod for shooting bike races. 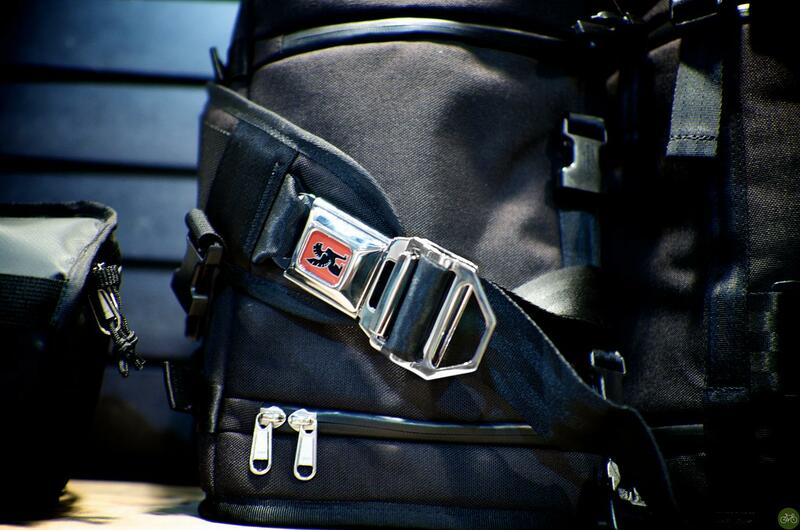 The Niko is water-resistant, padded, and features Chrome’s signature seat-belt buckle. It costs $120.00. The interior is customizable and I arrange it to hold headphones and an iPad with the Nikon. When we travel again together, I’m going to have to get another Niko or fight for it with Pam.